We all know that when the economy is tough, it’s very tempting to save a dollar or two! You can certainly save money around the house and your workplace with DIY things such as decking, crafting, painting, art and many more different DIY things you can do. HOWEVER, plumbing is something that you really need to leave to the professionals. Why do I need to hire a Professional Plumber? If you are not a qualified plumber, performing emergency plumbing works is extremely dangerous and illegal. A licensed plumber and one that you can trust should only perform plumbing. Plumbing work can be technical and require trained skills to perform the work correctly. Moreover, a licensed and trained plumber will be fully aware of all the safety that is required to perform the work. It is important that you do not perform the work yourself to avoid injury. To perform plumbing correctly, tools need to be used in the correct manner, which will ensure that injury is prevented. If you think a job is small and you can tackle it yourself, you can often do further plumbing damage. Leaving it to a professional is a way to save you money. Doing the work yourself can result in further delays to get the issue resolved. You will not have the right tools and knowledge if the situation calls for it. 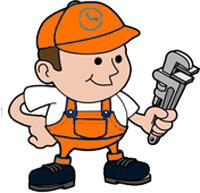 What can a Melbourne Plumber do for you? 1. Plumbing Maintenance: repair pipes, grease traps, backflow and other tasks. 2. Plumbing Emergencies: do you have a plumbing emergency? Some plumbers work around the clock to keep your plumbing working. A lot of plumbers advertise they work through the night, however many do not answer their phones. Be sure you know of a plumber who really does work through the night to help you in an emergency. 3. Gas fitting: many plumbers are licensed to work with gas fittings. 4. Blocked drains: have a blocked drain and not sure how to clear it? You can try DIY products such as caustic soda or Drano liquid. However, should this not work, many plumbers specialize in this area and will have the required skills and expertise to clear the blockage. It might require that a drain camera be placed into the drains to locate where the blockage is. Plumbers can perform other services including: Kitchen & Bath maintenance, hot water repairs installations and more.